Nina Nastasia’s Dogs is a record so simultaneously unassuming and grandiose that I can’t really describe it, except in terms that would make it (and me) sound silly. Of the couple thousand records I’ve been involved with, this is one of my favourites, and one that I’m proud to be associated with. A really great debut, the arrival of a talent already fully formed but with the potential to grow in any one of a number of directions, happens seldom, and with vanishing rarity by singer-songwriters. Bands, if the fragile chemistry is properly captured and they’re able to write a good tune or two, are more likely to do their best work early. Singer-songwriters take longer: few would argue that Tim Buckley, Bob Dylan, Song to a Seagull, Neil Young, Closing Time, London Conversation, or More Than a New Discovery were their authors’ best works, or even among them. You could make a case for Leonard Cohen’s and Randy Newman’s debuts (I would). Plastic Ono Band is Lennon’s best. Sweet Baby James is Taylor’s best, but it’s a low bar. Judee Sill is better than everything else ever, including her second and posthumous third. But the thesis holds, I think. Nina Nastasia’s Dogs, though, is one of the great debut albums. I first heard it after becoming intrigued by two things that happened very close together: firstly, I read the above quote from Steve Albini, who engineered Dogs and all of Nastasia’s subsequent records. Second, I read an issue of Mojo in a hospital waiting room where Laura Marling nominated Nastasia’s work as a major influence. I’d heard nothing but good things about Marling but remained unconvinced by her songs or singing, and so was interested to hear an influence on her that maybe contained the things I did like about Marling in a more concentrated or developed form. On first listen, Dogs sounded like a very good chamber-folk kind of record: sparse, vibey, atmospheric, beautifully arranged and recorded, and with really strong songs with surprising twists and little moments of dissonance. The more I listened, the better it sounded. Certain songs (All Your Life, Underground, A Love Song, the peerless Stormy Weather) bore their way into me. I’m a recording geek, as regular readers will know, so Dogs is a pleasure from the first note to last. Among Albini’s stellar work, it’s a particularly great-sounding record. Listen to the strings on Stormy Weather and you’re in the room with the players, every nuance, every scrape, every creak, every change in bow direction audible. On their own, listening to these strings would be a compelling experience, but they are just the backing for Nastasia’s beguiling, winding melody and elliptical lyrics. Stormy Weather (not the jazz standard, by the way, if you don’t know the record) is a moment of perfection that makes the world stop. Nobody Knew Her lets it all back in, noisily. I know nothing about Nastasia’s personal life, but in interviews she has alluded to a friend killed in an accident on Pacific Coast Highway, and Nobody Knew Her seems like it deals with these events, initially being sung as if by a schoolgirl (‘He won’t go out with me/I don’t care if I never see his face’), before with two hard strums and the line ‘Everyone’s talking about you’, the band slam in; and in the context of such a hushed album, they do slam. It’s not a mawkish or maudlin song, and it doesn’t hit you over the head with its meaning – I listened to the song a dozen times, probably, before the significance of the chorus (‘Bradley, Bradley, I think you got away’) actually hit me, even as the second verse makes it plain we’re dealing with a car wreck – but the significance of having the band play hardest and loudest on a song about a friend’s early death (and his passenger – a girl nobody knew) is clear. After Nastasia sings, ‘This desk says you were here’, there’s a pause of a few seconds before the band come back in. What could have been a very cheesy moment is instead the song’s most powerful; as the last line of the song sinks in and the chord decays, we hear the guitar amp hum and some very audible handling noise. If they’d have gone for silence before the band re-entered, that might have been cheesy. Nastasia and Albini allow even this consciously big moment retain its humanity and rough edges. Guitarist Gerry Leonard then plays one of my favourite guitar solos, a messy, passion-filled 24 bars that function as a sort of boozy, rowdy wake after a sombre funeral. It’s a performance of proper catharsis, a real cleansing. It’s not typical of her later work – instead, it’s the most ‘indie rock’ her music’s ever been – but it’s the record’s key passage, the deepest moment in a record full of them. If you like either Stormy Weather or Nobody Knew Her, you need to hear the album in full. It’s a classic. This entry was posted in Music and tagged A Love Song, All Your Life, Bob Dylan, Closing Time, debut records, debuts, Dogs, drummers who can drum/singers who can sing, Fat Cat, Gerry Leonard, hi-fi, James Taylor, Joni Mitchell, Judee Sill, Laura Marling, Laura Nyro, Leonard Cohen, London Conversation, Mojo, More Than a New Discovery, Neil Young, Nina Nastasia, Nobody Knew Her, Pacific Coast Highway, Plastic Ono Band, Randy Newman, records that sound great!, Socialist (record label), Song to a Seagull, Steve Albini, Stormy Weather, Sweet Baby James, Tim Buckley, Tom Waits, Underground on January 10, 2014 by rossjpalmer. Listening to Tres Chicas last week in order to put something together on them for this blog led to me to spend some time – for the first time in a long while – with Whiskeytown’s records, Whiskeytown being the band that Caitlin Cary is best known for, the band that introduced David Ryan Adams to the world. These are records I’m well familiar with, having listened to them extensively around a decade ago, when I first became interested in contemporary country-rock music. I’d heard some country music growing up, on a couple of Music for Pleasure cassette compilations that my parents played on car journeys sometimes: Crystal Gayle, Billie Jo Spears, Kenny Rogers, Anne Murray, Glen Campbell, Jean Shepherd, Linda Ronstadt, Bobbie Gentry, some Willie Nelson (anyone that they could get the rights to, which led to the same artists getting featured over and over). But, being young, I didn’t get the nuances, the difference between the artists, the voices, the arrangements. It didn’t seem odd to me that Crystal Gayle’s ballads entirely forsook fiddle and pedal steel (not that I’d have known what a pedal steel guitar was, let alone what countrypolitan was) in favour of string sections and harps. I couldn’t hear that Anne Murray’s voice was different to all the other singers’ because she was Canadian. And so I grew up with a specific, context-free idea of what country was. Country music encompassed everything from Blanket on the Ground to Talking in Your Sleep, Hello Walls to When You’re in Love With a Beautiful Woman, and all of this was country, because the cassette sleeves said it was. I didn’t know then that country was also Hank Williams, George Jones, Patsy Cline and Slim Whitman. I didn’t know that, say, the Eagles had made a species of country music – I’d heard them, but they weren’t on these cassettes, so evidently they weren’t country. A child’s mind is wonderfully literal. So when I started looking into contemporary country music I didn’t want to hear the modern equivalent of that old stuff I heard when I was a kid (which probably would have meant Trisha Yearwood or something similarly polished and Nashville) – I was interested in hearing the music that was being spoken of as the carrying on the legacy of Hank Williams, or of the Outlaw artists from the seventies. Music that was rough, gritty, rootsy, melancholy, beautiful but not necessarily pretty. Music that reeked of beer and cigarettes and desperation. A college student’s mind is touchingly romantic. Whiskeytown were considered one of the foremost examplars of this new old-school country music, so I had to hear them. 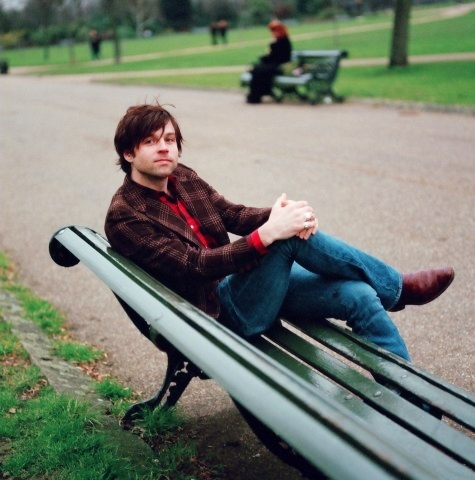 What I realised soon enough is that Ryan Adams wasn’t the pure-bred country musician I thought he was. He was a former punk rocker who formed Whiskeytown five minutes after being introduced to the records of Gram Parsons and George Jones by Skillet Gilmore, who gave Adams a job in the Raleigh, NC, bar he ran and became the first drummer of Adams’ new country band. Adams was a consummate student of music, a writer with an extraordinary gift for mimicry. 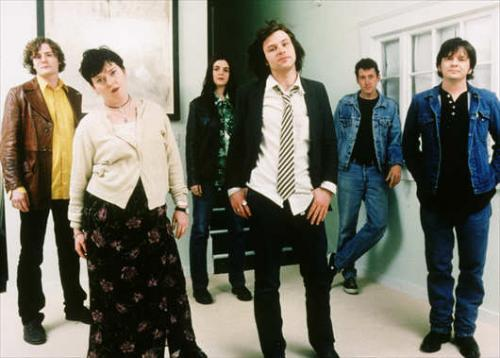 This was already obvious by the time Whiskeytown released Strangers Almanac in 1998, where Adams’ debts to the Rolling Stones and Paul Westerberg began to be revealed as clearly as his Parsons love, and over the course of Pneumonia (the band’s final album, retaining only Adams and Cary from the first record) and his first two solo albums (Heartbreaker and Gold), Adams wrote songs that cribbed from Bob Dylan, Van Morrison, Neil Young, Elton John, Alex Chilton, Steve Earle, Townes Van Zandt and Bruce Springsteen. No wonder Uncut loved him. Many of these songs, to be sure, were great: Adams has a lot of talent, a very keen ear and the sense to surround himself with musicians who can help him get to where he wants to go (a cast list that has included Ethan Johns, Bucky Baxter, Mike Daly, Jennifer Condos, Cyndi Cashdollar, David Rawlings and Catherine Popper). But when I fell out of love with Adams and his work, I fell out hard, as he simply hadn’t given me what I was looking for, and at the same time that I was listening to him I was becoming more intimately acquainted with the work of Dylan, Young, Van and Chilton, to say nothing of Gram Parsons and Hank Williams. For me, it’s not a damning criticism of Adams to say that he works essentially by emulation. Certainly not at this point, where I’m basically over the idea of authenticity and originality as having much bearing on the quality of art. However, the amount that Adams owes to his influences is often so clear as to become distracting, particularly on Gold, where practically every song is a love letter to one artist specifically. On a couple, Adams even sang the song in an imitation of the inspirator’s voice, to make the debt entirely clear for those who weren’t paying attention at the back. While one had to applaud the scholarship, it became a little wearing. While his work in the decade since Gold has been uneven, it is surprising how far his critical esteem has dropped, and the degree to which he has receded from the indie consciousness. His 2011 album Ashes & Fire passed me by entirely (its single Lucky Now was essentially Daddy was a Bankrobber played slowly on acoustic guitar, and was pretty dispiriting to sit through) and generated none of the hype and anticipation that a Ryan Adams record would have done six or seven years before (love them or hate them, Rock ‘n’ Roll and Love is Hell got him a lot of press coverage). And when I saw a video of (and was blown away by) Mandy Moore singing a live-in-the-studio version of Merrimack River, I couldn’t help but think about how long it had been since her husband (Ryan Adams) had written a song half as good, or indeed sang anything with that much emotional commitment. There’s lots of excellent songs in Adams’ discography and he may yet end up as an Elton John figure – someone who made no faultless albums but who drifted in and out of songwriting form over several decades and cut enough great songs for an excellent double-CD best-of. There are certainly worse fates for a recording artist. Nevertheless it must be somewhat galling for him that he’s now so out of favour critically that when Laura Marling rewrote New York New York (from Gold) as Sophia, with Ethan Johns in the producer’s chair, no one who praised that song thought to mention how big a debt it owed to Johns’ first big-name client. If you’ve never listened to the man’s work and want to give him a fair hearing, I can recommend Heartbreaker and Pneumonia without hesitation, and give qualified thumbs ups to Strangers Almanac and Gold too. And I do genuinely hope he puts out something to rival them one day. This entry was posted in Music and tagged Anne Murray, Bob Dylan, Caitlin Cary, country music, country-rock, Crystal Gayle, Ethan Johns, Gold, Gram Parsons, Heartbreaker, Laura Marling, Mandy Moore, Neil Young, Pneumonia, Ryan Adams, Strangers Almanac, Tres Chicas, Uncut, Whiskeytown on July 18, 2013 by rossjpalmer.